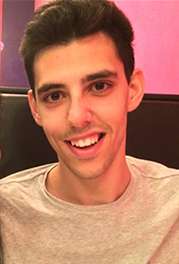 Jordan Webb, 21, was diagnosed with Parkinson’s disease at just 17. 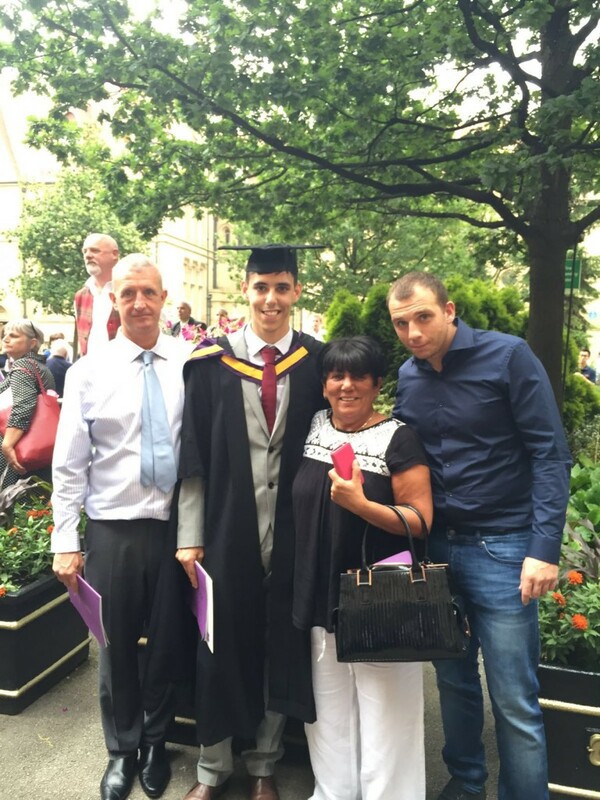 He graduated from the University of Manchester in July 2016 with a BSc in psychology. He was awarded the Lynn Young Prize for overcoming challenging circumstances and has now applied for a master’s degree to study neurorehabilitation of movement disorders and traumatic brain injury. Going to university normally marks the start of an exciting, new chapter in life – with all its highs and lows. 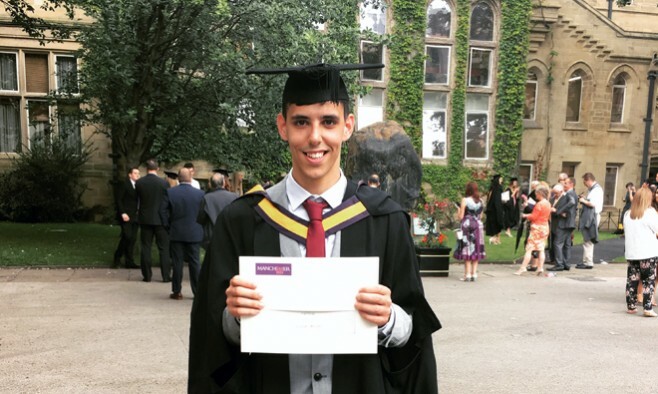 But for 21-year-old Jordan Webb, life at the University of Manchester meant having to overcome more lows than your average student. 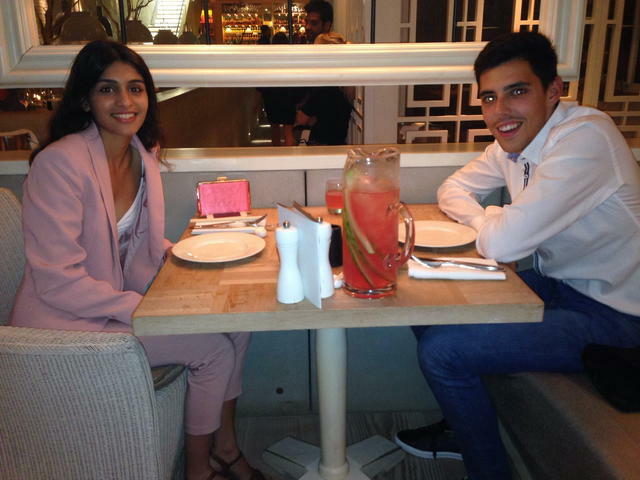 On top of all the usual exam stress, all-nighters and demanding socialising duties, Jordan had to deal with Parkinson’s disease. Speaking just days after his graduation ceremony, he opens up about the lack of Parkinson’s support groups for young patients like himself, handling shaky social situations and dedicating his final year project to improving the lives of Parkinson’s patients – and he still plans go back and do it all again. I first noticed that something was wrong about four years ago when I was studying for my A-Levels. My writing was getting smaller, and I seemed to have a slight tremor in my right hand that increased when I was nervous. I also began to notice that the grip on my pen was tighter making it really difficult for me to write long sentences. I also developed a little bit of a stutter and began to notice that people were misunderstanding what I was saying. What was your initial reaction to diagnosis? That’s incredible, your mum basically predicted your diagnosis! How did your feelings develop over time? I went through a low point because it was hard being one of the youngest sufferers in the country – there isn’t really a support group dedicated to young Parkinson’s patients like me. I would have only been 18 or 19 when I was urged to go to various support groups, but they were all for much older patients. But now I’m just getting on with it and feeling more upbeat and optimistic after getting my degree. Did you know that 17 is considered very young age to have Parkinson’s? Yeah, I think there is this stereotype that Parkinson’s is an older person’s condition, so when I was told I had it, I went through a stage of denial. Taking the medication returned my physical symptoms to near enough how they were before diagnosis. They also have a tendency to make you feel amazing, so when the meds were taking effect, I would often deny I had Parkinson’s – I’d think, ‘Look, no shaking. I’m fine, I doubt it’s Parkinson’s.’ But then when they wore off it was hard to ignore it. How did Parkinson’s impact on your dreams and career aspirations? Well I knew I’d never be able to be a dentist or anything requiring high-level motor skills because of my condition. Even though I didn’t really want to become a dentist or a surgeon it felt a little bit disheartening that the condition has deprived me of being able to make that choice. However, it has motivated me to try and help combat the mental health effects of Parkinson’s, especially the ones brought on by the anti-Parkinson’s medication and the ‘on/off’ periods many people experience, as I don’t think these are addressed enough by both physicians and psychiatrists. There has got to be more than prescribing medication and offering someone counselling. I believe more rigorous psychological support is needed to address the fairly high suicide rates and low quality of life people with Parkinson’s often experience. How supportive have your friends been? They were supportive, although at one stage I was often scared to expose myself to social situations in case people saw that I was shaking. I know how to deal with those situations now. However, any Parkinson’s sufferer will tell you that it can be quite embarrassing exposing yourself. I think it was harder for me because when I was diagnosed I was at the age where people are finding who they are and what they like and dislike, so I was more self-conscious about it. But you have to just learn to cope in these situations. How has Parkinson’s affected your studies, and day-to-day experience of being a student? I was still coming to terms with the condition while at university. Looking back now I don’t know I did it to be honest. It affected my attendance at university, but they were very understanding. It was often the freezing episodes that prevented me from going to university. I just had to hope that the next day was a good one where my body would allow me to go. Thankfully, in third year they got the combination, dosage and timing of my medication right at the beginning of the year, which led to me bumping up my 2.2 grade in second year to a good 2.1 grade at the end of my degree. I faced the same challenges anyone living with Parkinson’s would face, so basically, couldn’t write in lectures – I used to just sit there and try and take it in. I also experienced the ‘on/off’ fluctuations in my medication, as well as the motor difficulties that make life with Parkinson’s difficult, even the most simple act can be extremely difficult and temperamental. Do you feel you’ve missed out on any aspect of student life? What about the social aspect – has it ever restricted you in terms of going out? It did slightly, I mean, during first year I did go out. However, I felt so bad the next day I would shake more and it would be physically taxing on my body. I still find that now, if I haven’t had sufficient sleep or accidentally miss a pill it certainly takes a physical toll on my body, so now I know what is good for me and what isn’t. How did your fellow students treat you? They were fine with it and they were very understanding too. I think that’s a typical reaction from a class full of prospective psychologists. My lecturers were also very supportive to be honest – they wanted to help me as much as they could. How aware were they of Parkinson’s? What is the general perception among students from your experience? Not many knew much about it, and when I told them they were slightly disbelieving because I was so young, but I remember in one lecture we learned about it, and after it a few people came up and asked if I was okay and things like that. What inspired your research project involving Parkinson’s? The project was inspired by the difficulties that people with Parkinson’s face when getting out and travelling to physical therapists to receive the neurorehabilitation they need. It is also inspired by the motor difficulties patients face when trying to complete simple actions such as doing up buttons, brushing teeth and shaving. Together with the motivation of myself, Dr Ellen Poliakoff and Dr Judith Beck (BEAM lab at University of Manchester) we will try and improve these motor defects and improve overall quality of life in patients. We proposed that a home-based intervention could be given to someone with Parkinson’s on a mobile phone app or on their laptop or TV. By watching videos of an actor performing a simple movement they can then train these actions and improve them for future use. Such improvements have been documented in recovering stroke patients, so we thought this might be transferable to the Parkinson’s population. What does it mean to you, to win the Lynn Young Prize (for overcoming challenging circumstances)? I was so happy to receive this award as it recognises my struggles just to obtain my degree. It’s good that it’s not only my family and friends that recognise it, but that the university have too. Do you think there is enough awareness of the disease, among young people in particular? There is virtually no awareness of the disease among my age group or even in the mid- to late-20s age group, so if I can help raise awareness in any way possible I will. How was the graduation ceremony? It was brilliant! It was great to see so many proud families and students. My mum, dad, brother and girlfriend came, so it was a proud day for everyone involved. I felt that my three years of study had been paid off in just one day. And, finally, you’re applying for a master’s. Will Parkinson’s continue to be part of your research? Do you have a big idea to help patients? Hopefully, yes! I have a few more ideas, but I do have a particular interest in the neurorehabilitation of movement disorders and traumatic brain injury. This lovely young fella has true grit – well done!! The saddest thing is stigma: even families of YOPD know shamefully little about their own relatives condition or future. Can’t tell you how many YOPD who’s folk think it’s a ‘little shake’. Do they think their offspring will only get ill as ‘old people’? It’s heartbreaking. But for you Jordan, you are a warrior prince – I wish you a CURE so you can live in freedom.